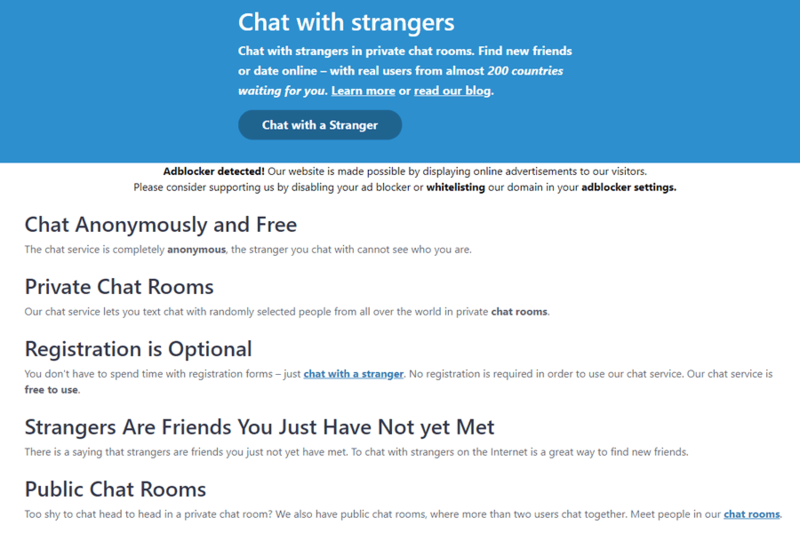 StrangerMeetup offers the free chat meetup services without registration, however, it is best to become its member, Its interface is pretty clean. It keeps even reminding about your new friends on the constant basis. The website facilitates with emails and other stuff which keeps reminding you about the friends you had the conversation. Its interface gives you the enormous option in which you can develop your profile in well mannered. Just make sure to optimize your visibility, so your profile appears the best which will increase your viewability. No matter what you’re seeking dating friends or casual friendships. You viewability impacts both. It even carries public chat rooms which are free to join, but for which you’ll be needing an account to proceed. 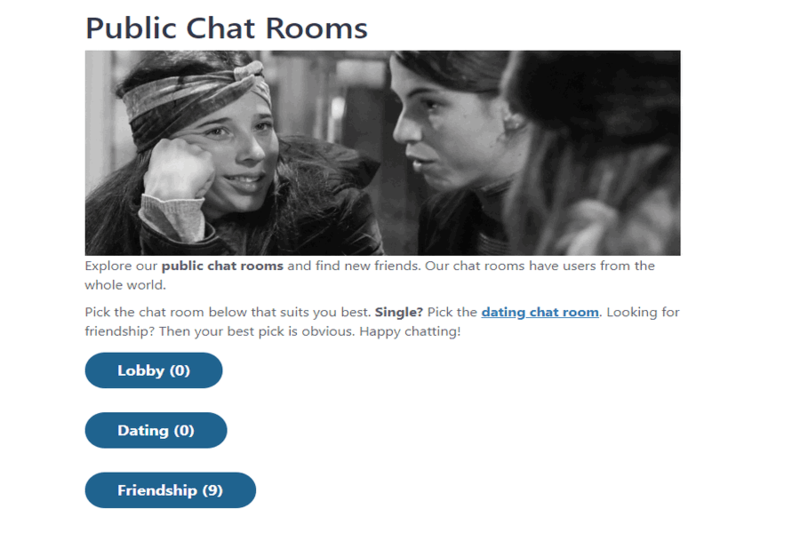 Each chat room has a special topic like friendship, dating, sports, politics etc. It has various more perks if you become a member. Being just a guest and playing around can give you just one-time chat experience with strangers.